Our work in The Gambia focuses on eliminating trachoma, an infectious disease that can cause immense pain and blindness. 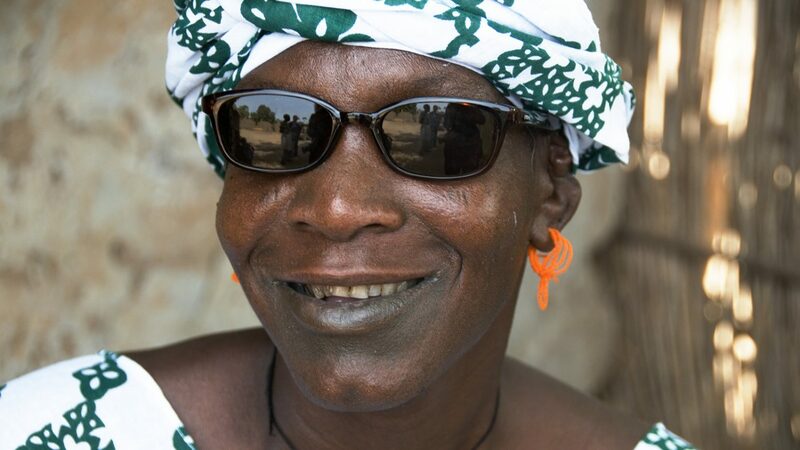 Sightsavers works with The Gambia’s ministry of health and social welfare to control and eliminate trachoma. We treat people with advanced stages of the disease, often through surgery, and monitor active cases of trachoma across the country. The project distributes antibiotics to protect against the disease. Sightsavers also aims to increase the number of people trained to diagnose and treat refractive error. 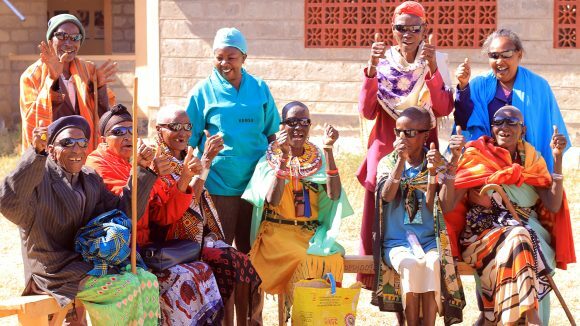 We have provided spectacles for those who need them, and helped to set up a new vision centre in the country, which we publicised through radio shows, billboards and posters. 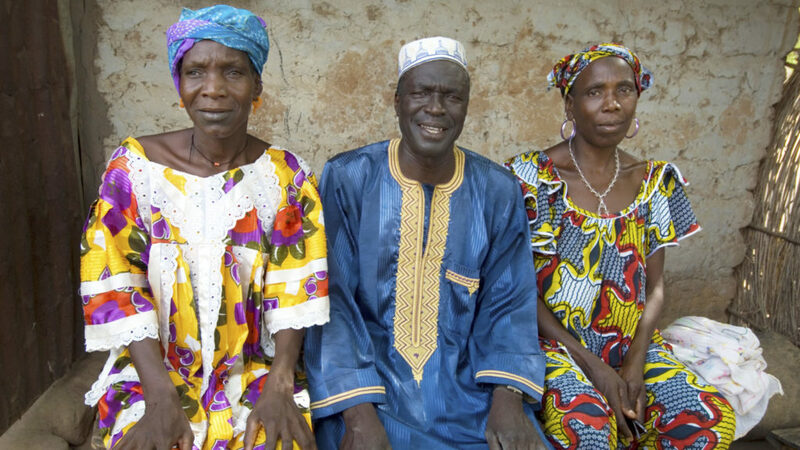 In previous years we’ve also helped to diagnose and treat cataracts in The Gambia, providing sight-saving surgery to restore people’s vision. I’m very happy that the operation has been a success. Now I’ll be able to pound the rice and look after the children. A male trachoma patient sitting outside, smiling. Yaya caught trachoma four years ago. As his sight deteriorated, he suffered constant pain and was unable to fulfil his duties as head of the village. But thanks to a straightforward operation, the pain is gone and he is once again leading his community. Embessal Moreira, head teacher at a school in northern Guinea-Bissau, has been trained to distribute medication that treats and protects children against intestinal worms. Despite knowing how important it is to go to school, 12-year-old Aruna struggled to keep up his attendance after catching schistosomiasis, which can cause severe abdominal pain.